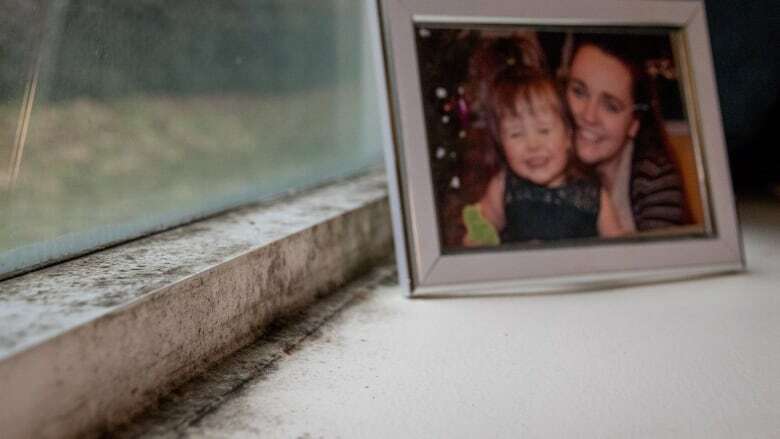 A Halifax woman battling a persistent mould issue in her apartment says she is frustrated her landlord has repeatedly ignored the problem — and even raised her rent after she complained. 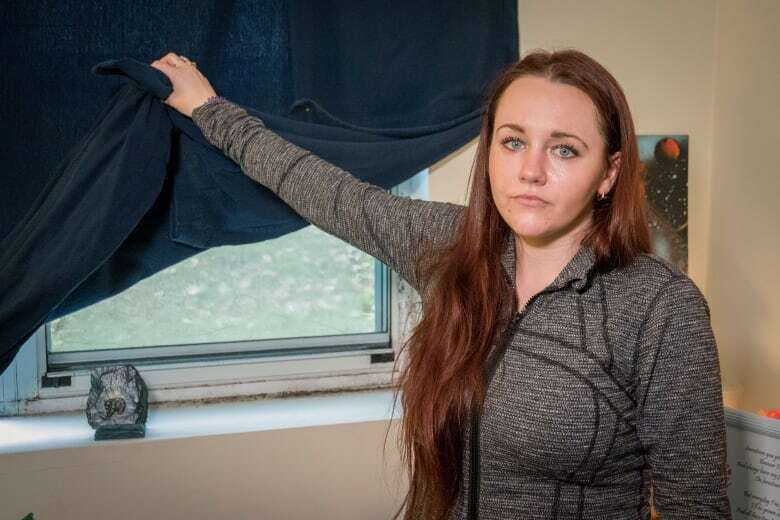 Karlee Kedy says she tried cleaning the mould throughout her windows, floors and bathroom after she moved last year into the ground-floor unit of the apartment building at 132 Old Sambro Rd. in Spryfield. 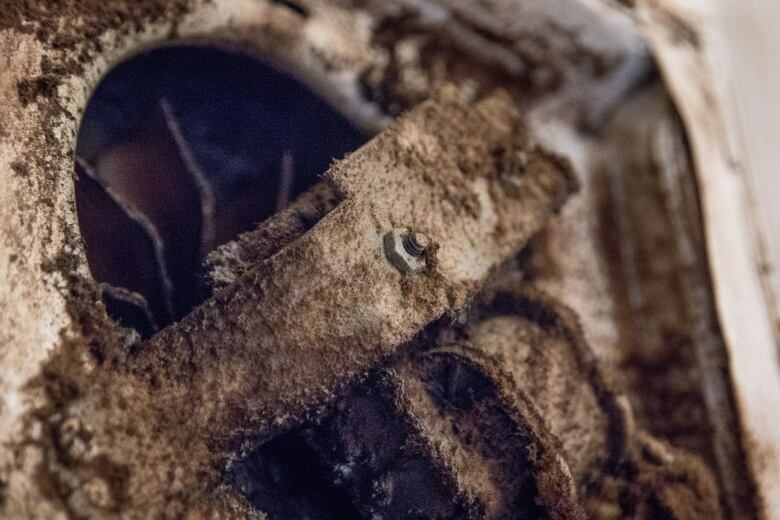 But the mould keeps reappearing. "I threw up for a week straight after that. And I don't want to do it again," Kedy said in a recent interview. She said she wrote a letter in April to her landlord, Seymour Trihopoylos, expressing her concerns, but the mould was not remediated. Instead, she said she was sent a notice a couple days later saying the rental company, Olympus Properties, would be raising her rent in four months from $725 to $925 due to "increased operating costs." A neighbour across the hall pays $695 a month for the same type of two-bedroom unit. When her concerns were not addressed by the company, Kedy said she contacted city officials in April and again in October. They inspected her apartment. But Trihopoylos said he only became aware of the issue from city officials who contacted him on Oct. 30. "It's kind of coincidental she's gotten a rental increase and then all of the sudden now she's got a issue with mould," Trihopoylos said in an interview on Oct. 30. "I'm totally unaware of any issue with her unit, so we are going to investigate it further ourselves and see what she's talking about. She's not brought it to our attention. She chose to contact an HRM official, who brought it to our attention by letter." Besides the letter she wrote to Trihopoylos, Kedy said she's spoken with him numerous times over the past few months about the mould issue. And city inspectors first contacted the rental company about the mould issue in Kedy's apartment in June, according to Matt Covey, the division chief of fire prevention for Halifax. "This file in particular has taken longer to resolve than usual," said Covey. 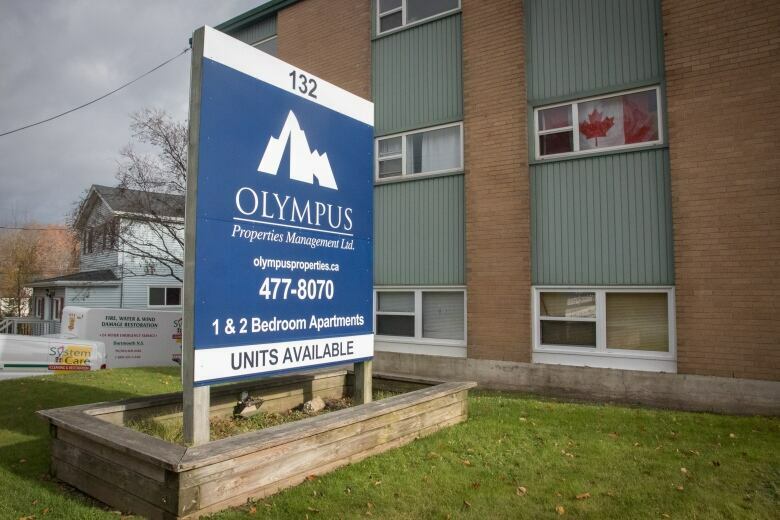 An order for compliance was issued on Oct. 29 requiring Olympus to hire a professional company to remove the mould throughout the apartment and to repair or replace a damaged floor. 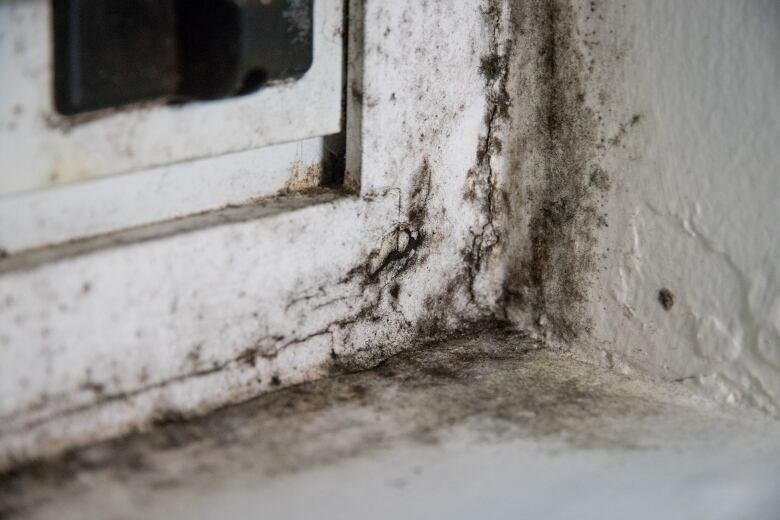 Indoor mould growth can lead to breathing problems, allergy symptoms, chronic wheezing and irritation, and can increase the risk a person develops asthma, according to Health Canada. Kedy said the ever-present smell of the mould makes her nauseous and she is concerned for her health. "It's toxic and I shouldn't have to live in it. I'm paying my rent on time and it's not right. And it's not right that they're trying to get me out because I'm contacting someone about it," she said. "I called the city, the people that work here, the two landlords, they won't do anything for me. "They're not planning on fixing this and that's ridiculous, like I've been coughing up black things," she said. "I've been having the windows open in the cold to try to air out the place." Representatives at the rental company didn't say why they were raising her rent when she asked, Kedy said, and no improvements were made to her apartment since she moved in last September. Olympus Properties leases commercial and residential units throughout the Halifax area and Bridgewater, including the Stardust Hotel on the Bedford Highway. Kedy said she also raised the mould issue with her building superintendent in the spring. They gave her a bottle of CLR and told her to clean it up herself, she said. "I just can't believe what they're doing," she said. "I don't have anyone that will fight for me." "It's making me very stressed and I've been trying to find another place," Kedy said. "I should have a right to live here just like everyone else." There are no caps for rent increases in Nova Scotia, according to a spokesperson for Access Nova Scotia, the government division that runs the residential tenancies program, which helps landlords and tenants understand their rights. "If a tenant feels their landlord has increased rent as an act of retaliation to a tenant's action to secure or enforce their rights, and the tenant can demonstrate this, the residential tenancy program has the authority to review and determine an appropriate rental increase amount," said Marla MacInnis. Kedy said she contacted the residential tenancies program, but was told they couldn't help her.